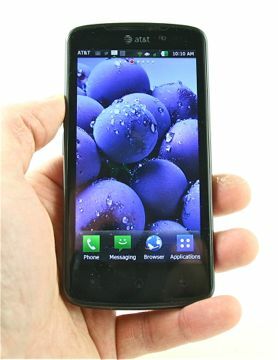 The LG Nitro HD comes very close to earning a "very good" rating from me, but will have to settle for "good." The reason is mostly due to the exceedingly poor voice performance. Even though we use our smartphones more for data-centric tasks, the phone has to be at least serviceable as a telephone. The Nitro HD is not a good telephone at all. The other reason is the lag issue. As noted, the lag isn't severe, but it is enough to be noticed. The Nitro HD does very well with every other feature. The menus are a cinch to use, the screen is amazing, and the hardware works well. It is a good size and shape, includes a great camera and video camera, and of course is one of only three smartphones that can use AT&T's speedy LTE 4G network. If you don't care much for making voice calls, perhaps that issue can be overlooked. My guess is the lag problem will bother everyone, though. Would I recommend this phone? No, simply because life is too short for LG too stand for Lagging Gear.